If you would like to see TONS more cookie photos, be sure to follow me on Facebook, too! Last, but not least, I’m also on Instagram! Join the party – I’d love to have you join me! Neat Web site Nicole All the cookies look too pretty to eat !!! Portia, I’m not sure why that is happening to you. I haven’t (yet) heard of it happening to anyone else, though. Did you perhaps check the box which subscribes you to all follow-up emails/comments to each entry? Thank you for the beautifully decorated pansies cookies that were sent from your “Pretty Person” contest. I was totally surprised to come home and find an unexpected package containing cookies! I am enjoying having a cookie each evening with tea while reflecting on my days journey. Much success with your gift of baking. 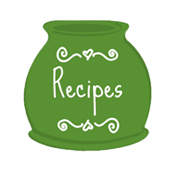 The items on your wedsite look delicious! Betsy, you are so very welcome! Your sweet friend Amanda nominated you for the contest, and it sounds like you have been such a dear heart to her. I’m happy you’re enjoying the cookies! How sweet of you – thank you! Can’t wait for an occasion to order your cookies! Welcome to Texas! Hey I wanted to let you know that a baker is using your photo of the “Hot Off the Grill Cupcakes! Hey Nicole! I also wanted you to know that both I and my kid’s dad… J.R… were active duty Air Force… a LONG time ago. We met at Blytheville AFB and were both Boom Operators on a KC-135 (Tanker). In 86 I got out and in 89 we were sent to Okinawa for 3 years. Our daughter was born in Blytheville… our son was born in Okinawa. My daughter will be married in November and I’m thinking I may need to place an order for that when the time comes! Hi Deb! I used two circle cookies (one smaller than the other). The smaller circle had a section cut out before baking to allow the bottom of the statue cookie to fit into it. I put stiff royal icing on the bottom of the statue, stuck it into & through the smaller cookie & rested it on the larger cookie. I then covered the entire base in a black royal icing. If I had to do it over again, however, I would use chocolate candy melts instead, though. Hope that helps! I’d like to place an order for Marine cookies for July 3rd. Please email me at kimberlyrichbourg@cox. Kimberly, I sent you a follow-up email. Kristen, I sent you a follow-up email. I’d love to order approx 2 dozen cookies. I would need them by June 16th – is that possible? Thank you! Oops, I’m sorry I didn’t specify what I wanted!! One dozen large assorted Army Tags and West Point cookies for incoming Cadet. And One dozen Choc chip cookies! Kelly, I sent you a follow-up email. I was referred to you by Color Me Cookie who will be on vacation during the time I’ll need my cookies. My husband is retiring from his police department SWAT team and I’d like 2 dozen cookies for a SWAT party. I have a picture of what I’d like if it’s possible. The party is August 1, 2015. Please let me know and I’ll email the pic. I am on a short vacation in Kansas City at the moment, and I will be answering emails when I return on Friday, the 9th. Thanks! 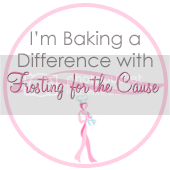 I was referred by Tara @ Bambella re ordering cookies from you for the 18th of October. I would need 4 dozen to match an invitation. Sent an email earlier but it may have gone to your junk folder. responded to your email but haven’t heard back…want to make sure we are still on for the order for 4 dozen…please let me know, thanks! Sent you a follow-up, Lee. Hi Nicole! I wanted to see how well your cookies freeze. I am interested in pre-ordering a couple dozen to have when my baby arrives in early December. Please tell me where you are located, I’m interested in your classes but don’t know where you are! I just love your cookies, you are very talented! Hi Kathy! I’m in Spring/The Woodlands, TX – just north of Houston. It would be wonderful if you are close, of course! However, I’ve had people fly in from New York, Florida, Mississippi, and Oklahoma in the past. Next month, there’s a gal coming from Minneapolis for the weekend of Dec. 4-5th, just so she can hit two different classes at once, ha! I love your under the sea cookies. I wanted to know if you could do them in other colors too? Hi! I sure can – whatever colors you may need to match your event. Just send me an email – nicole@lifesabatch.com – for order requests. Thanks so much! Hi, please do you train , online? I offer classes in person here in the Houston, TX area. At this time, I do not have online tutorials, however. Hola!! Donde puedo ver la receta de galletas para decorar y el icing? Hello I have ordered from you before to great success!! Would like to know about ordering the back to school / teacher theme cookies you have would like to order them. Love your Talent!! I’m so sorry for the delay! I so very rarely have time to update my blog/website anymore, and I do not see comments until I go to make a change over there. Please always be sure to send an email for any order requests, and thanks for thinking of me once again! For the wedding monogram leaf cookies-you made 330 of them. Did you freeze any of them because it took so long to decorate all of them? Did you use a Kopykake for the monogram? How long do yours stay fresh? My son is getting married and I’d like to make cookies. You are a genius! I made the 330 cookies in about 4 days, so no freezing was necessary. Bake the first day, then decorate about a third each day! I did not use a KopyKake at that time because it was only the first year of decorating & I did not have the tool yet. To do any sort of perfect monogram nowadays, I would absolutely use my KK! I’ve been decorating for 6 years now, but I’ve only had the KK for the last 3.5 of those years, ha. I do bag & heat-seal all of my cookies, so I generally recommend eating them within about 3 weeks (or up to 4 months if frozen after bagging). Do you do hunting and fishing cookies? Hello Nicole, I was wondering if I order Mario theme sugar cookies, how much would they be? I sent you an email, Vanessa! Hiya, just wondering if you have ever posted cookies to Australia? Or would you know of anyone who creates such pretty cookies too? Ta. I emailed you the contact info for a good friend of mine. Hello! I am in the Army and will so be promoted to Major. Do you have a cookie cutter for an oak leaf cluster? If, so can you email me pricing information for cookies. Thank you so much!! I’m afraid that’s a shape I don’t have, and I don’t have anything that’s really even close to it. I’m sorry! Hi Nicole – Absolutely LOVE your work and I’m hoping to place an order with you! Please check your email whenever you have a moment. THANK YOU! Nicole’s cookies are so beautiful and almost too pretty to eat. I have bought a variety of cookies and have been impressed with her attention to detail. If you are looking for a go to cookie person ok n, Nicole is your girl!